You Say Where, We'll Be There! Our professional installers can have your windshield installed quickly, often in just one hour. We stock most popular late-model windshields and can install at your home or office. We repair and replace windshields, door glass, vent glass, quarter panel glass, back glass, and more for cars, trucks, and heavy equipment. Our mobile team serves Southern Indiana, including Newburgh, Boonville, Fort Branch, New Harmony, Mount Vernon, and neighboring communities. Not sure if you are in our coverage area? Give us a call! 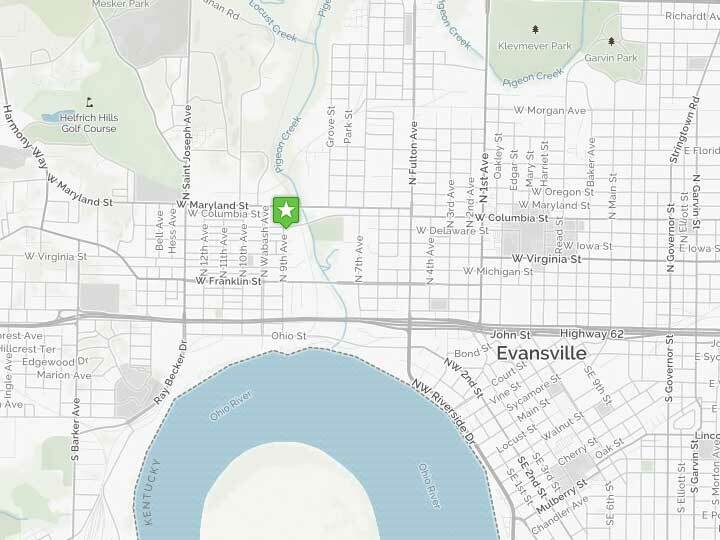 We are located at 1922 West Delaware Street, just south of the Wabash Station Post Office, and at the foot of the Delaware Street Bridge. From the Lloyd Expressway, turn North on Wabash Ave and turn right on Delaware Street. Our entrance is immediately on the right, before the bridge. Don’t let cracks and chips ruin your windshield. 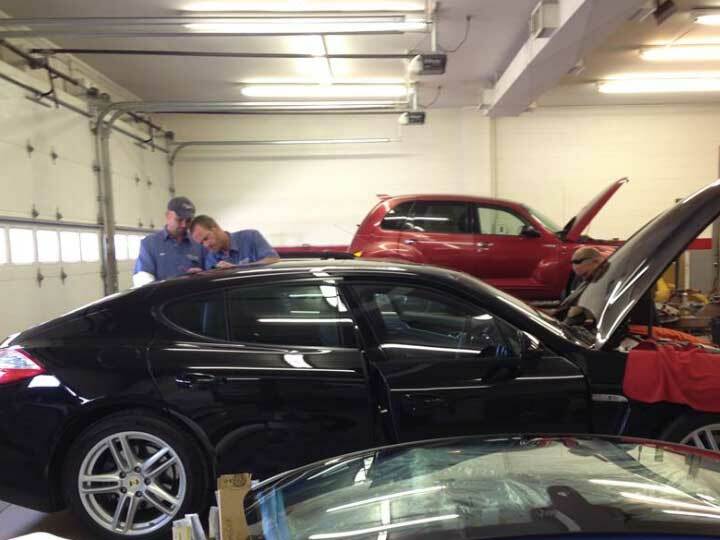 Auto Glass Specialties will repair and restore the structural integrity of your auto glass. We understand the value of your time and can repair your windshield in as little as one hour. Call today and schedule an appointment with us. 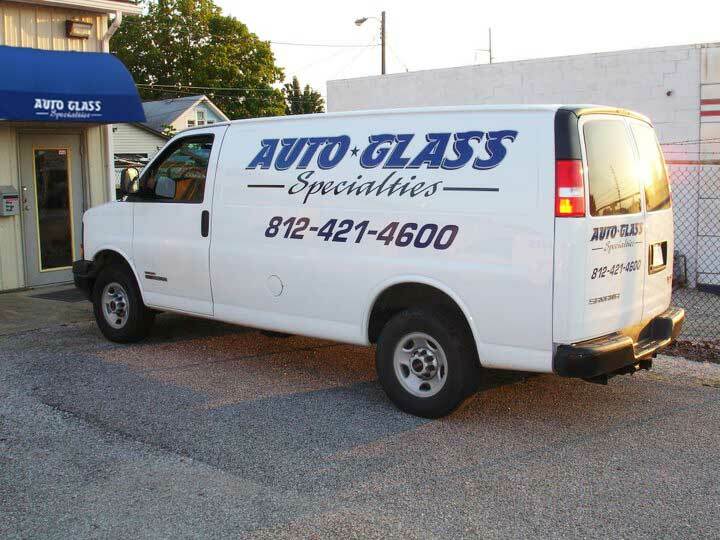 Auto Glass Specialties is locally owned and operated, and offer repair and replacement of all glass on your car, truck or large vehicle. We can repair in our shop or on site at your location if that is more appropriate. We invite you to compare our prices. Call or use our quote form, and you will discover that we can save you money without compromising on speed, service, or quality. Don’t stress about dropping off your vehicle, we’ll come to you! Auto Glass Specialties has mobile auto glass teams in your neighborhood every day serving our customers throughout the trip-state region. Our technicians are well-equipped to replace windshields, door glass, vent glass or back glass on site at your home or place of business. You won’t know a great deal unless you check around. Get a quote for your new windshield replacement from Auto Glass Specialties by using our Online Quote Form or just give us a call and we will provide you with a quote over the phone.